It’s pumpkin season! We’ve got all you need to know about preserving your favorite orange squash, from drying to canning. Pumpkins are just about everywhere this time of year. As you harvest or purchase pumpkins for carving, be sure to save the seeds for later. Also, if you have an extra pumpkin or have orange squash from your garden, keep in mind that it can be preserved and used in future recipes. Here are some great tips and guidelines from the National Center for Home Food Preservation to make the most of this year’s pumpkin season. Carefully wash pumpkin seeds to remove the clinging fibrous pumpkin tissue. Pumpkin seeds can be dried in the sun, in an electric dehydrator at 115-120 F for 1 to 2 hours or in an oven on a very low, warm temperature only, for 3 to 4 hours. Stir frequently to avoid scorching. Dried seeds should not be stored with any moisture left in them. Wash, peel and remove fibers and seeds from pumpkin (or Hubbard squash) flesh. Cut into small, thin strips no more than 1-inch wide by 1/8-inch thick. Blanch strips over steam for 3 minutes and dip briefly in cold water to stop the blanching action. There is no need to cool to room temperature prior to drying. Drain excess moisture. Dry the strips in an electric dehydrator until brittle. Pumpkin also makes excellent dried vegetable leather. Purée cooked pumpkin and strain. Add honey and spices, then dry on a home food dehydrator tray. Read more here. Freezing is the easiest way to preserve pumpkin, and it yields the best quality product. Select full-colored mature pumpkin with fine texture (not stringy or dry). Wash, cut into cooking-size sections and remove seeds. Cook until soft in boiling water, in steam, in a pressure cooker or in an oven. Remove pulp from rind and mash. To cool, place pan containing pumpkin in cold water and stir occasionally. Pack into rigid containers leaving headspace and freeze. Only pressure canning methods are recommended for canning cubed pumpkin. We have no properly researched directions to recommend for canning mashed or pureed pumpkin or winter squash, pumpkin butter or any other pumpkin preserves (jams, jellies, etc.). To be safe, all low-acid foods, including pumpkin, must be canned using tested pressure canning processes. Older methods, such as boiling water canning for vegetables, oven canning and open-kettle canning, have been discredited and can be hazardous. Small-size pumpkins (sugar or pie varieties) make better products. Specific instructions for canning may be found here. 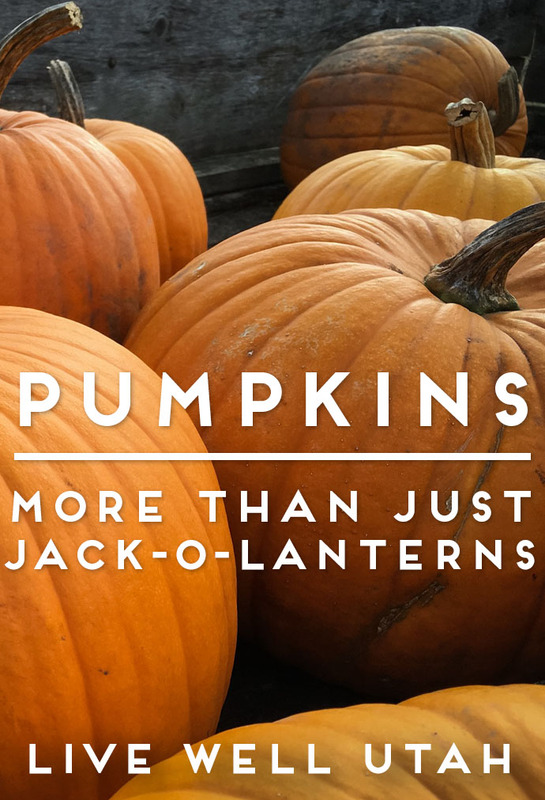 The USDA and Cooperative Extension currently do not have any tested recipes to recommend for safely canning pumpkin preserves (jams, jellies, conserves or pumpkin butter) and storing them at room temperature. These pumpkin products must be stored in the refrigerator or freezer and treated the same as fresh pumpkin. Think safety when preserving pumpkins. Pumpkin is a low-acid vegetable and requires special attention during preparation and processing. Use careful sanitation when handling fresh or preserved pumpkin. Do not let cut pumpkin sit out at room temperature for more than 2 hours during preparation prior to preserving. This article was written by Kathleen Riggs, Utah State University Extension family and consumer sciences professor for Iron County. Comments or questions may be sent to kathleen.riggs@usu.edu or call 435-586-8132.